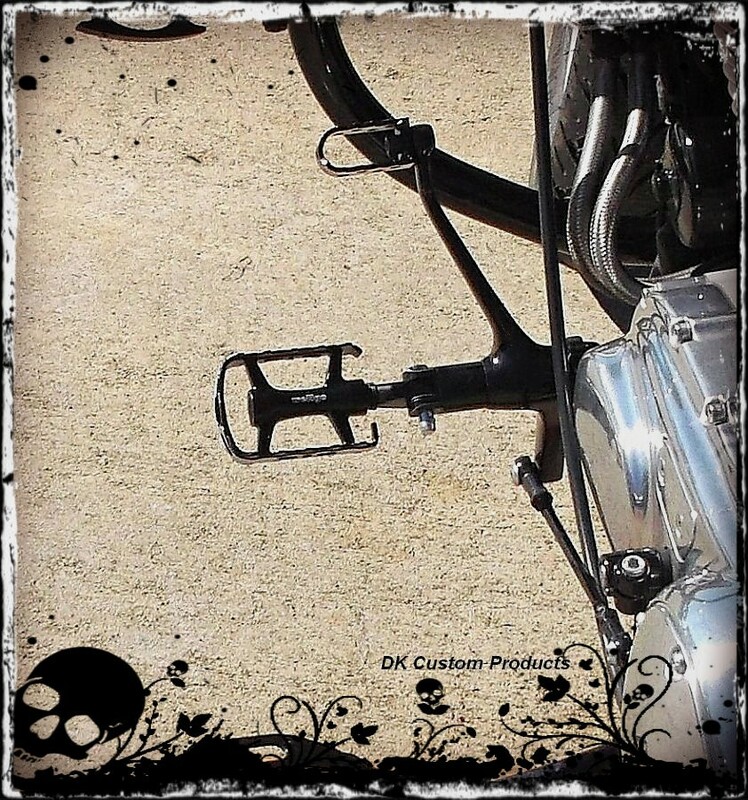 CAN BE USED AS HIGHWAY PEGS & PASSENGER PEGS ALSO! SCROLL UP PAGE FOR MORE PICTURES! Spin freely or fixed in place, or anywhere in between! The SGS SLIP STREAM Trap Style pegs have a Low Profile, One Piece Aluminum Body, that is Super Comfortable AND gives Improved Clearance in the Corners. 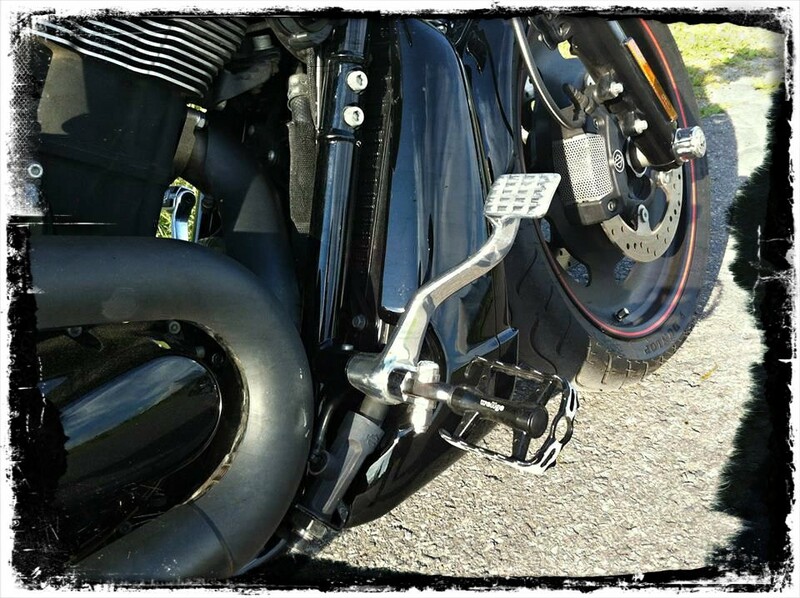 Measuring 3.5" by 2.5" and less than an inch tall, they fit all Harley's, including the new peg mount that HD is using on the 48's, 72's and other newer Models. They can be adjusted to spin freely, adjusted to move only with firm pressure, or locked into any position you want. Being able to move your feet around on a secure platform, and change the angle of the platform (while riding) is especially comfortable on those longer rides. Additionally, there is a grade 8 set screw that is used to adjust the lateral angle (angle from the ground) to what suits you best. The work equally well as Forwards, Mids, Passenger Mini-Floorboards, or Highway Pegs. 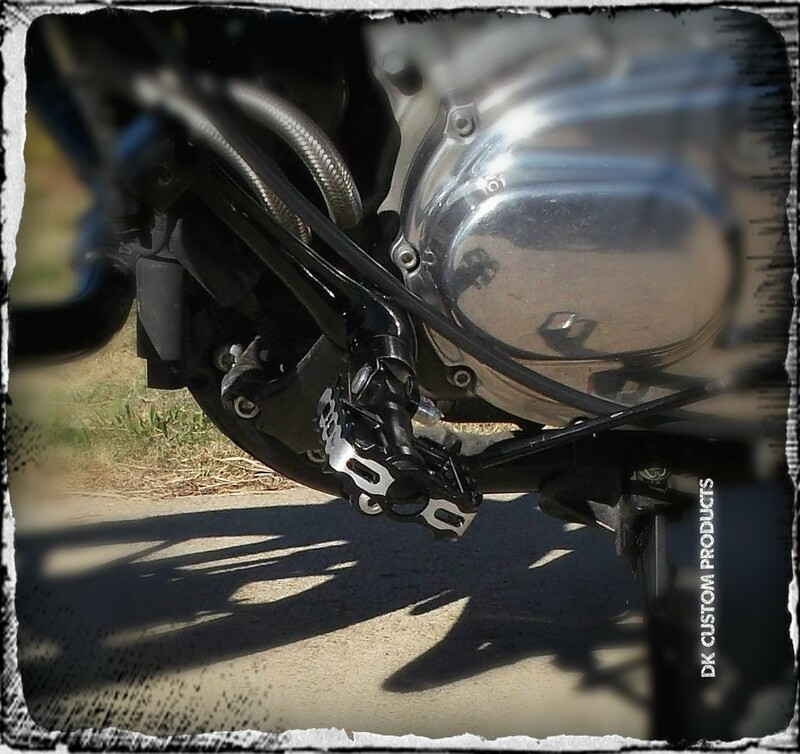 The Trap Style Gear Shift Pegs goes great with these Foot Pegs. See Details on it HERE. These pegs started out as bicycle pedals and have some components that are made Outside the USA. 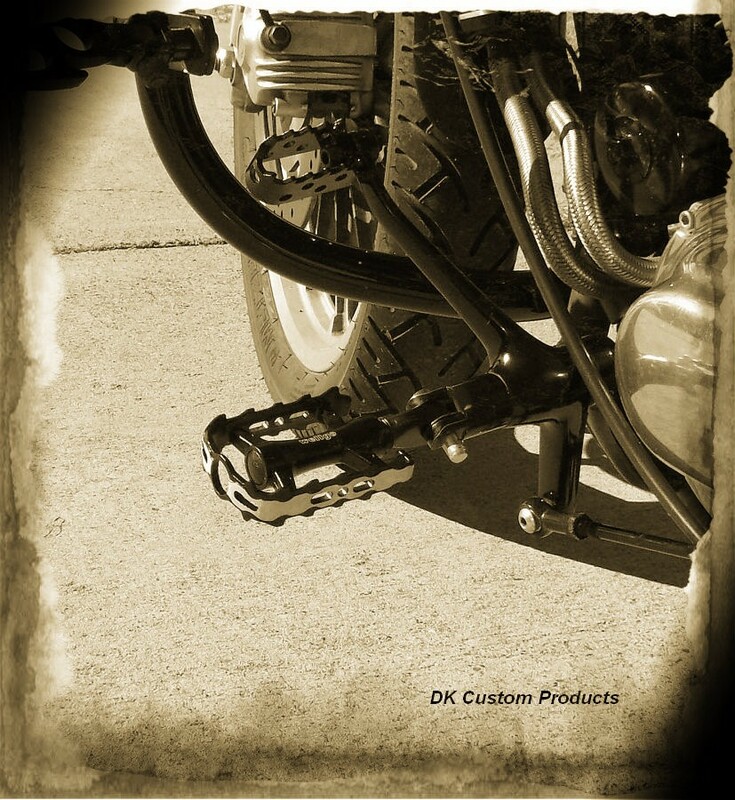 The main structure of the peg, the axle and mounting tab, are made right here, by DK, with USA Steel. 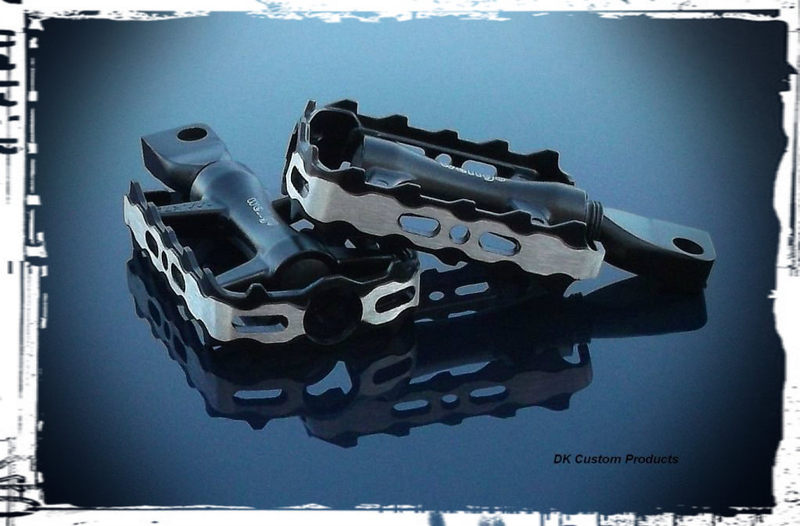 Each pedal is disassembled and then converted to a motorcycle peg with DK Custom parts. This is an EASY install - 5 minutes! 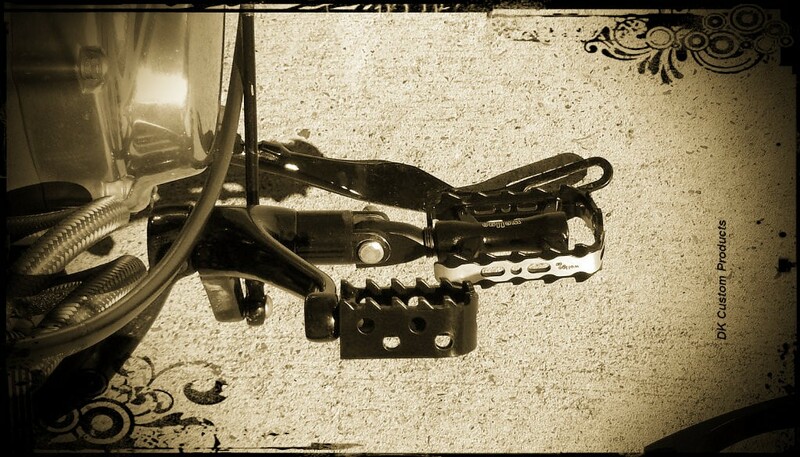 Don't settle for boring looking, or uncomfortable foot pegs one day longer!